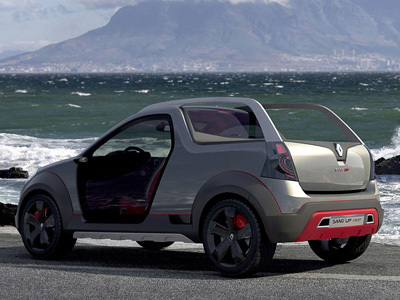 The Renault Sandero Sand'up concept was unveiled at the 2008 Sao Paulo Auto Show in Brazil. 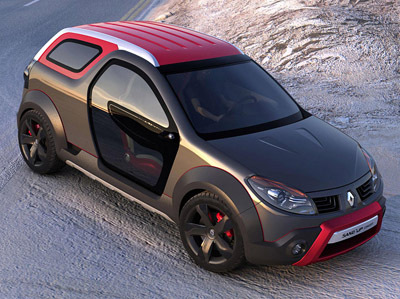 The concept is based on Renault's Sandero Stepway crossover vehicle, but with a long list of modifications the two vehicles are very different. 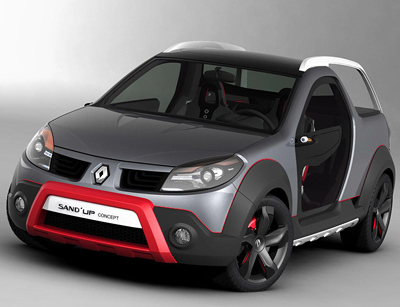 The Renault Sandero Sand'up is a 2+2, soft-roader with funky styling and and a multi-position roof and rear seat cover configuration. 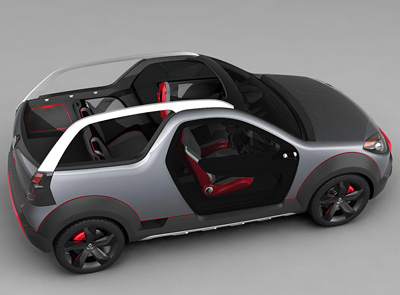 This versatile roof allows the cabin to be either fully enclosed, fully open, or the front two seats enclosed and the rear seats hidden under a tonneau cover. 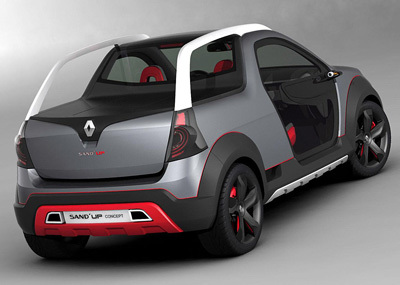 Powering the Sandero Sand'up concept is a 1.6 litre four cylinder engine capable of running on either gasoline or ethanol. The engine is mated to a front-wheel-drive transmission.